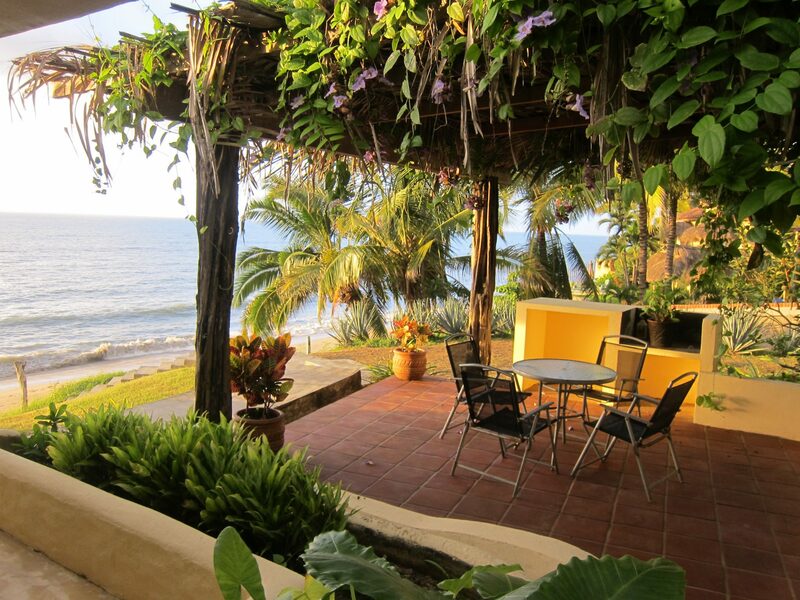 Casa Tranquilo in Sayulita is located in an exclusive, quiet neighborhood on the north end. 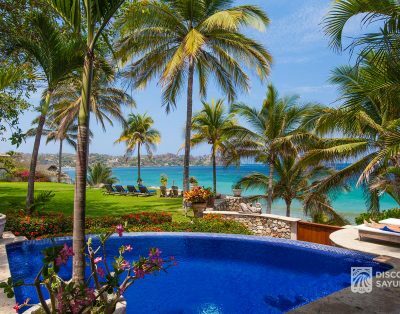 The villa is perfect for families or a small group to enjoy the peaceful tranquility of beachfront living, and have easy access to the town plaza. 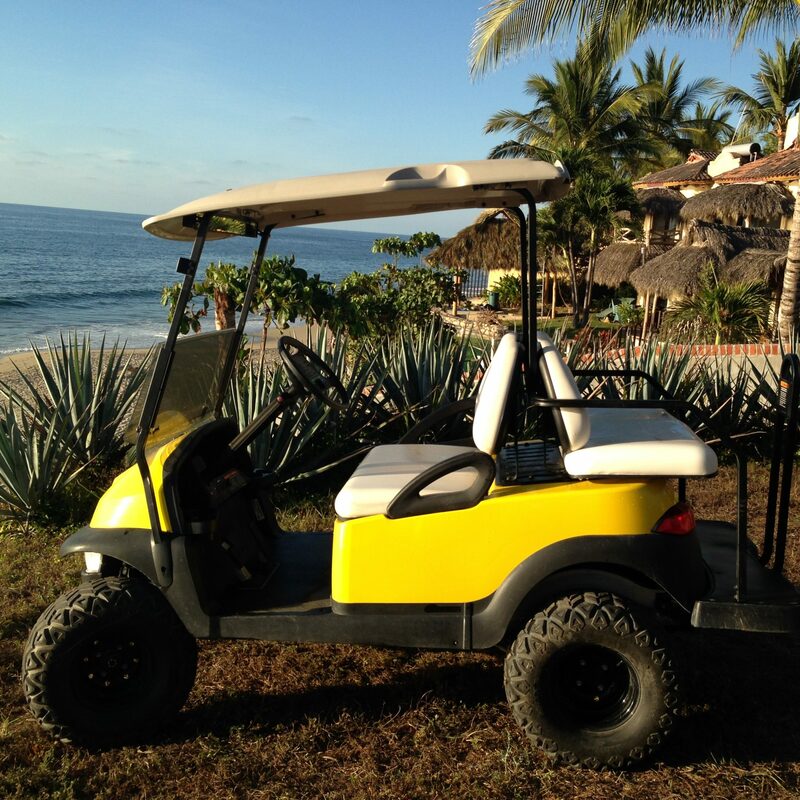 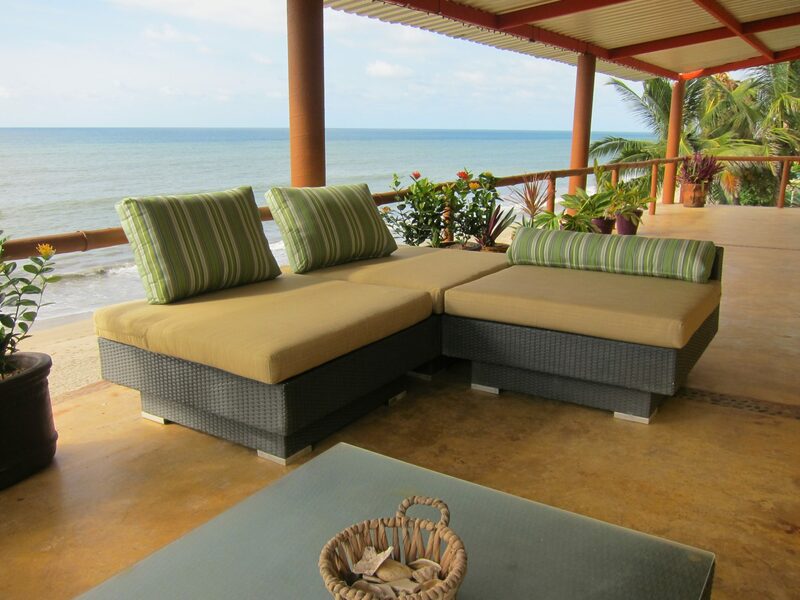 Casa Tranquilo is located just minutes from several great restaurants and boutiques. 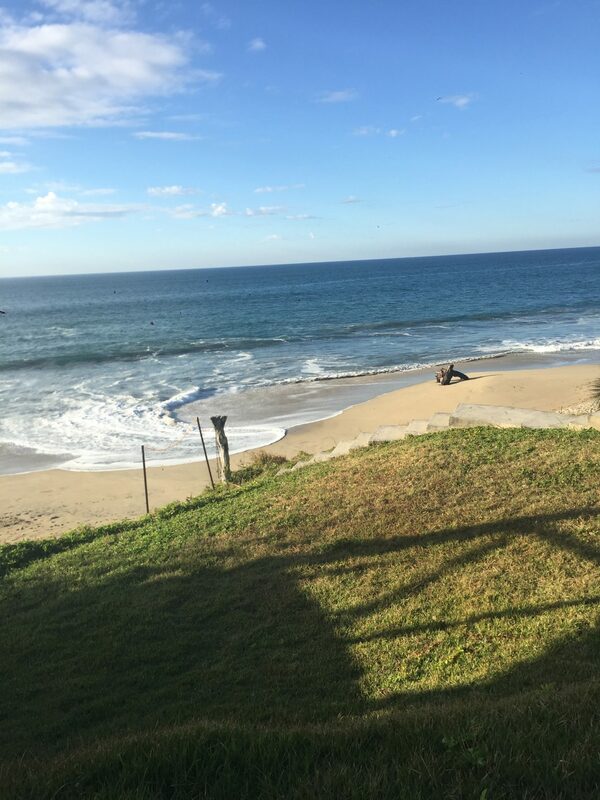 The 3 bedrooms are completely separate with private bedrooms, with two bedrooms having adjoining baths. 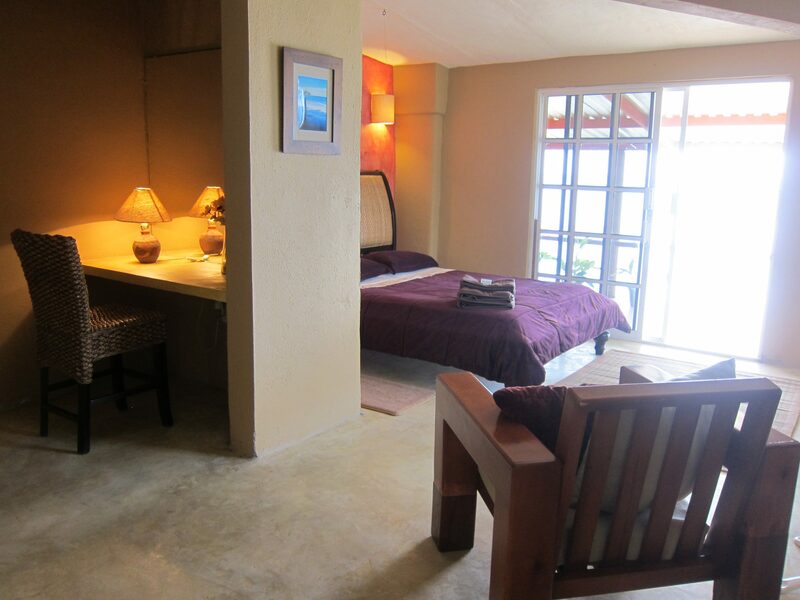 Open your bedroom door directly onto the patio in front of the ocean and feel the ocean breeze. 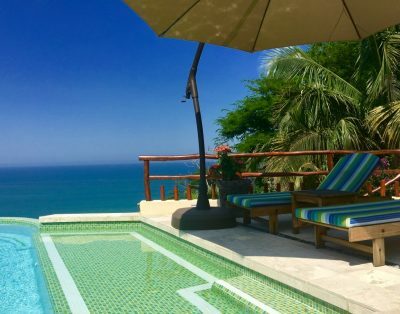 Casa Tranquilo offers gorgeous ocean and wild jungle canyon views. 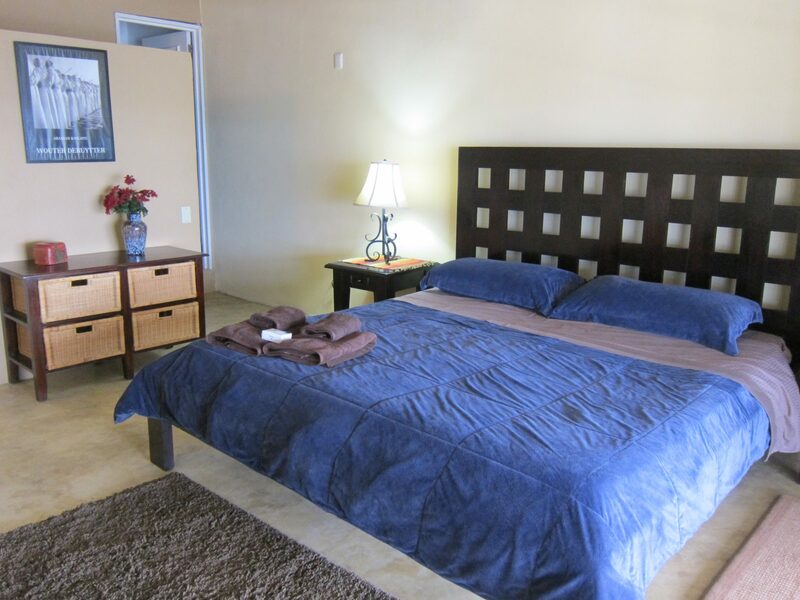 The house can sleep 6 people comfortably and if needed, cots are available for children, to allow for 8 guests. 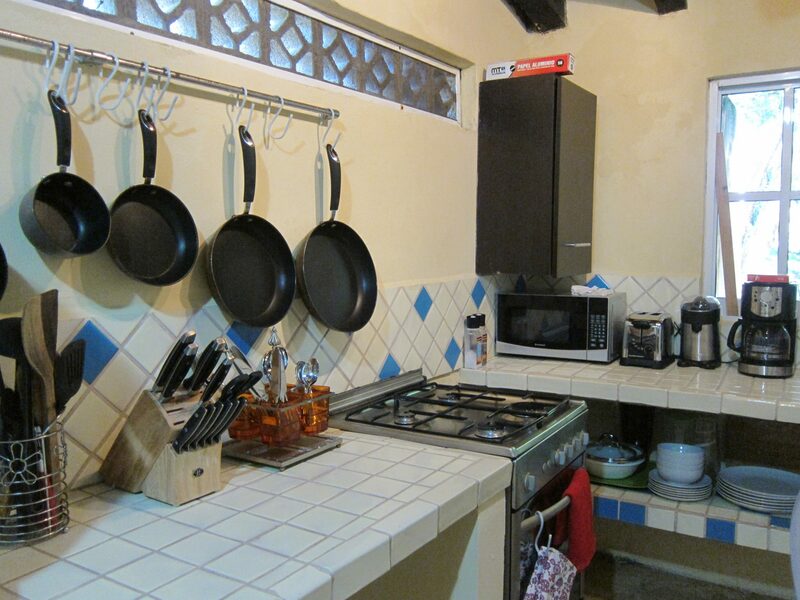 Take a break from our many Sayulita restaurants with our fully stocked kitchen with plenty of utensils, cookware, a coffee maker, microwave and toaster, stove and refrigerator. 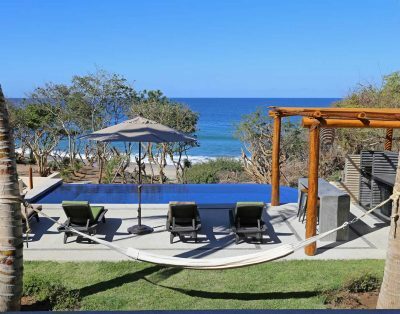 Enjoy making light appetizers and margaritas in the evening or cook a simple meal for your family and guests. 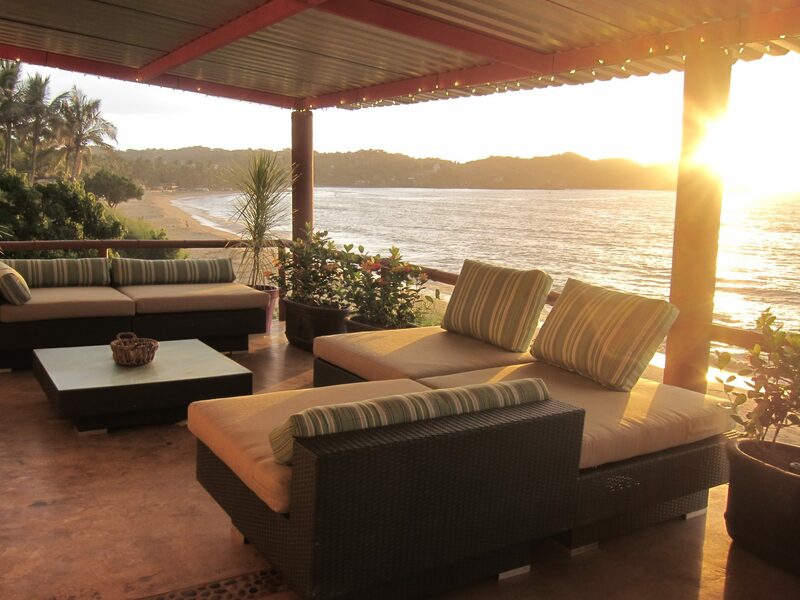 Let Casa Tranquilo be the beach setting for your Sayulita adventure!